Rewards programs are lifesavers. There’s nothing like the feeling of approaching the counter at your favorite coffee place or eatery to find out you’ve racked up enough points to get something free. 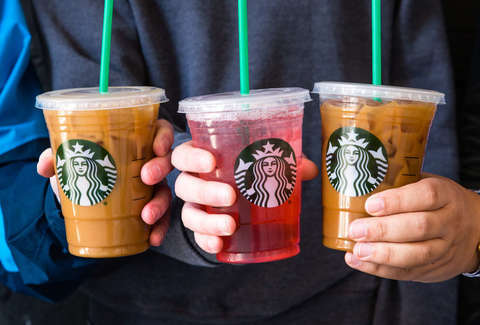 Starbucks has perhaps one of the most notable rewards programs, which offers freebies, birthday surprises, and discounts to members, and now, it’s about to get a little better. On Tuesday, Starbucks announced plans to improve its Starbucks Rewards program, which currently has more than 16 million members. Starting April 16, members will be able to earn and cash in Stars for Rewards faster -- as soon as they join fast. In short, Starbucks knows how much its base values instant gratification, and it’s going to give it to you. Members will earn two stars for every $1 spent when using a Starbucks Card on eligible purchases from the moment they join Starbucks Rewards. The mega chain is also introducing a new tiered rewards structure that will replace the old single-option plan currently available. This means new ways to use your rewards to get more free stuff, which is probably a good thing. Rewards Members will be able to use their points on a variety of options. For example, 25 points will let you customize your drink (add an extra espresso shot, switch up your milk choice, or order a splash of your favorite syrup) for no extra cost. Meanwhile 50 points gets you a brewed hot coffee, tea, or bakery item at no cost; 150 points gets you a handcrafted drink, hot breakfast, or parfait for free; 200 points will get you a Starbucks lunch item; and 400 points can be cashed in on select swag or an at-home coffee products. The last major change to the Starbucks Rewards program may seem like no biggie, but in an age where fewer people are carrying cash it’s a pretty big deal. Starbucks Rewards Stars earned by Starbucks Rewards Visa Credit and Prepaid members no longer expire. So, you’ll be able to sit on those points until you have enough to buy that trendy tumbler you’ve been eyeing, or stock up on Starbucks coffee to use at home. The loyalty program’s old perks are sticking around, too. As a member, you’ll still get free hot coffee and tea refills, free birthday treats, Bonus Stars through Double Star Days, and other offers tailored to your very specific coffee habits. The improvements are likely a ploy to entice new members to join Starbucks Rewards, but the coffee purveyor hardly needs the help. Since its introduction in 2009, Starbucks Rewards has racked up millions of members. In the last two years alone, the program has grown 25% with about 40% of all checkouts last year coming from Rewards members, according to the company. 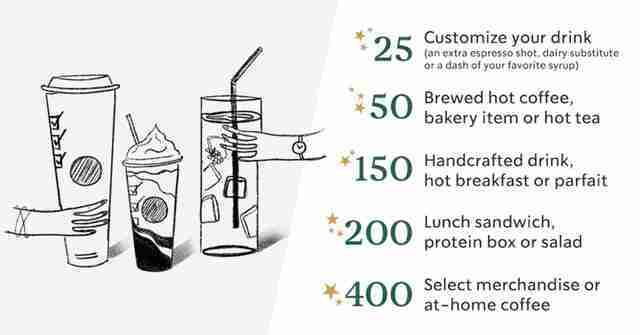 Whatever the reason for the changes to Starbucks’ Rewards program, free stuff down the line is worth shelling out a little extra cash here and there to rack up Stars. At least, that’s what you can tell yourself to justify it.